Well one option to back up the page would be to in Chrome/FireFox. Choose "Save Page As...", make sure you have "Complete web page" selected and it will save the html from the page plus make a directory will all the images from the page. Sindarin and Sanctuary are good, I think. Creator(s): BunnyLake, possibly in association with Ctrl Alt store. Profile: Available in DCS and DSA profiles -- only known GB to do this so far. Color Description: Alphas: light grey (GTL) with purple (RDA) legends. 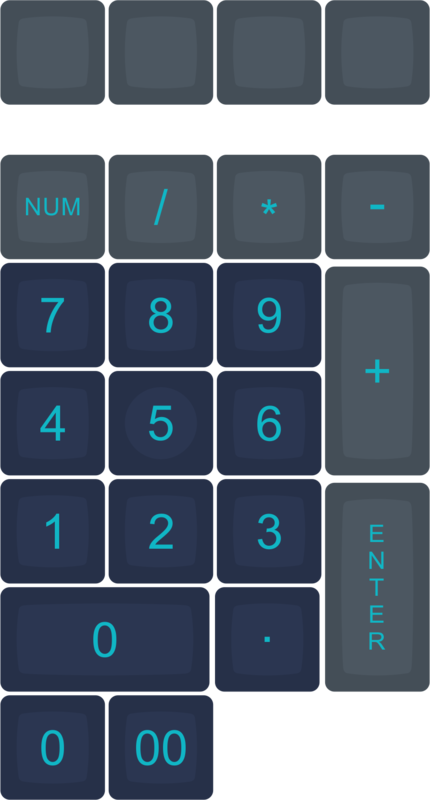 | Mods: dark grey (GD) with cyan blue (VBV) legends. 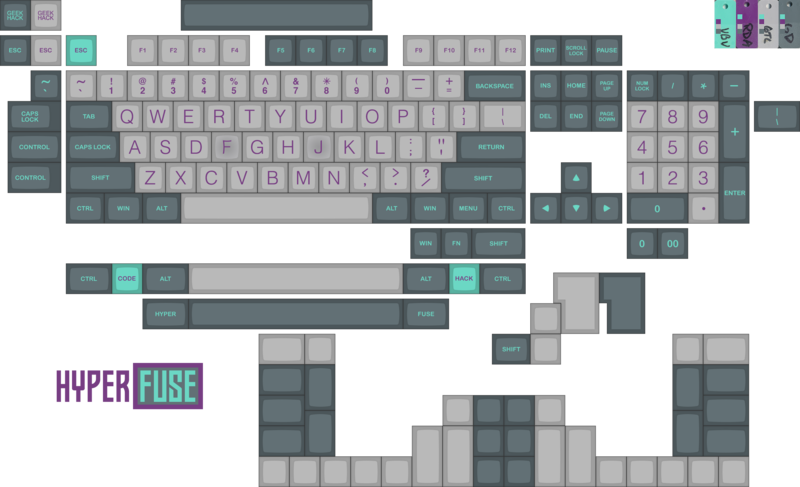 Other Notes: This color scheme is being offered in both DCS and DSA profiles. BunnyLake: "1. 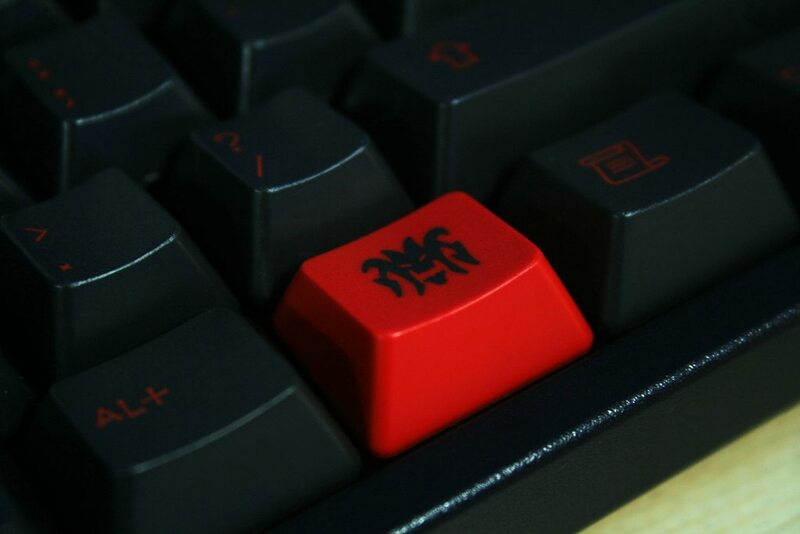 The usage of tooling for stepped key was allowed by OTD. 2. 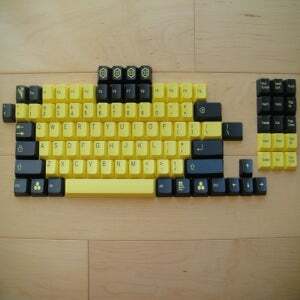 The OTD's policy is not to make any profit with the group buy. So please do not participate in the group buy for the purpose of selling at higher price." 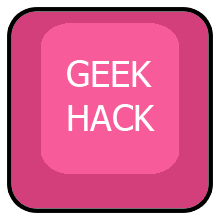 From web store: "A prefix often used in scientific and technical words, to denote something above or beyond the usual, normal, expected, or healthy level. Sometimes used to mean extreme or specifically "more than super-". 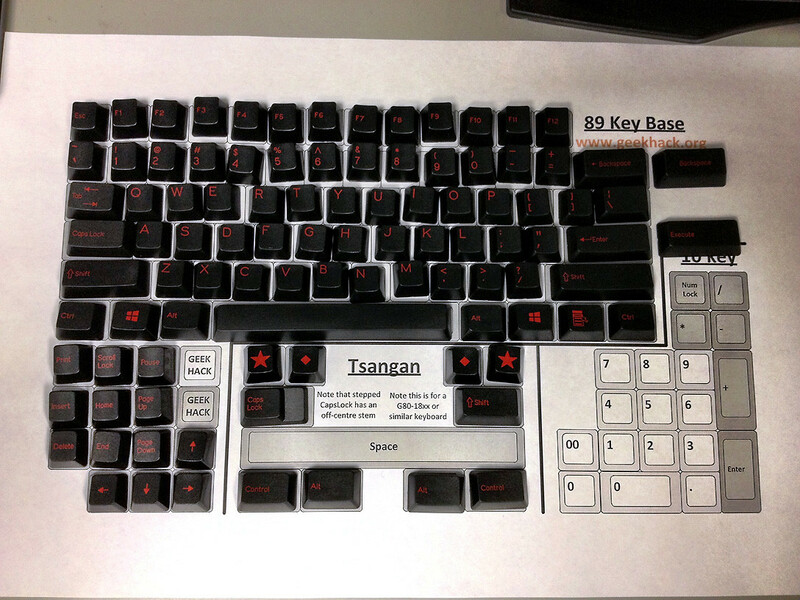 Extended tsangan kit includes mods with "Hyper" and "Fuse". Also the GB offered color-coordinated (blue) USB cable. 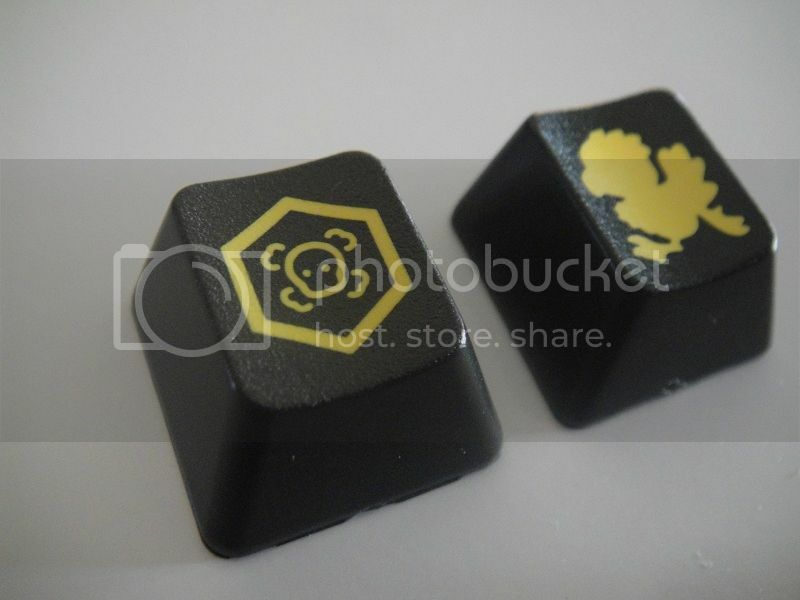 Color Description: danielucf: "The colors will be GX for the dark grey color, and what I will call "TOX" for now (Probably going to be VDA at SP), which is a custom brighter green color we have custom ordered for this set." Other Notes: Is this the only known GB to include a custom mixed color from SP? 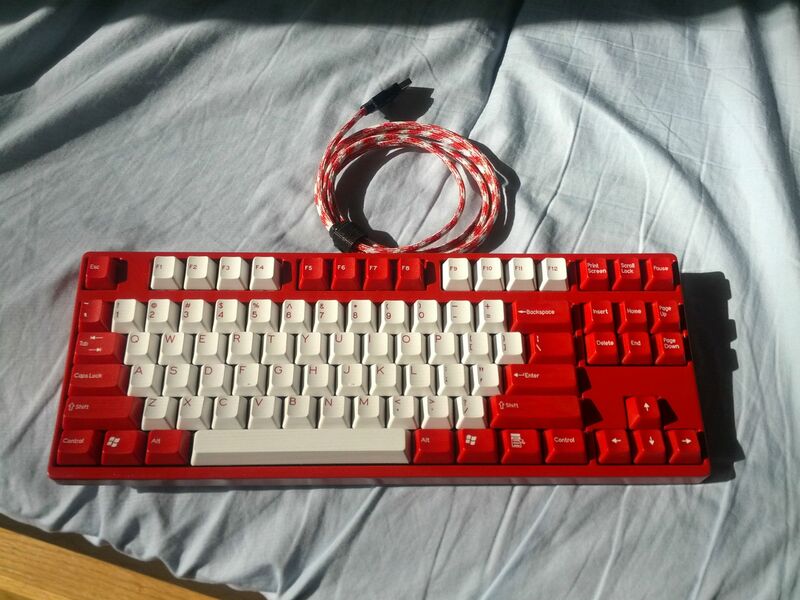 danielucf: "This will start collecting money shortly after the first Cherry replica set finishes collecting money. It will be Cherry legends. Who needs to vote? 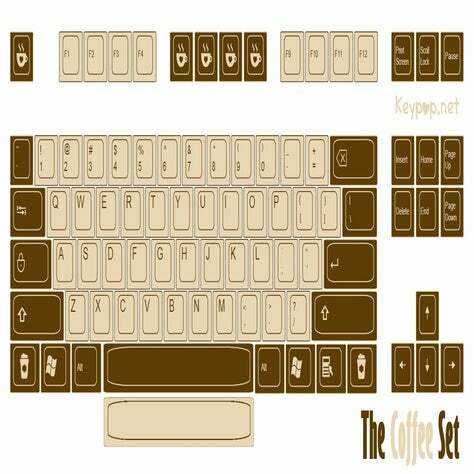 This is a keytatorship." 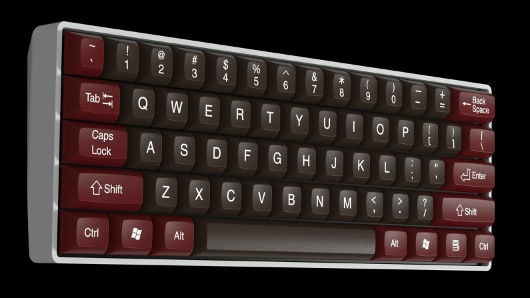 Material: Doubleshot ABS, with some keys being pad printed, but matched to SP color chips. 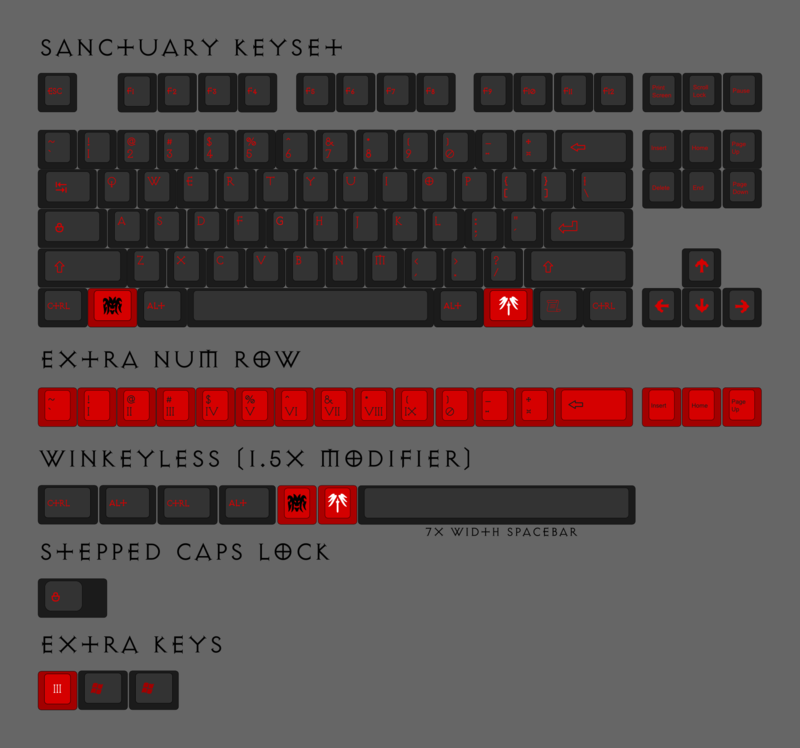 Profile: SA, full set with different row profiles. 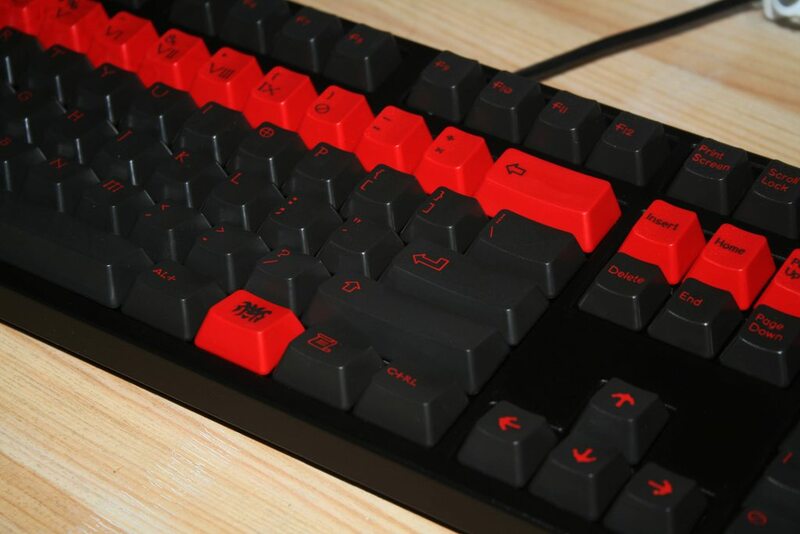 Matte finish top. 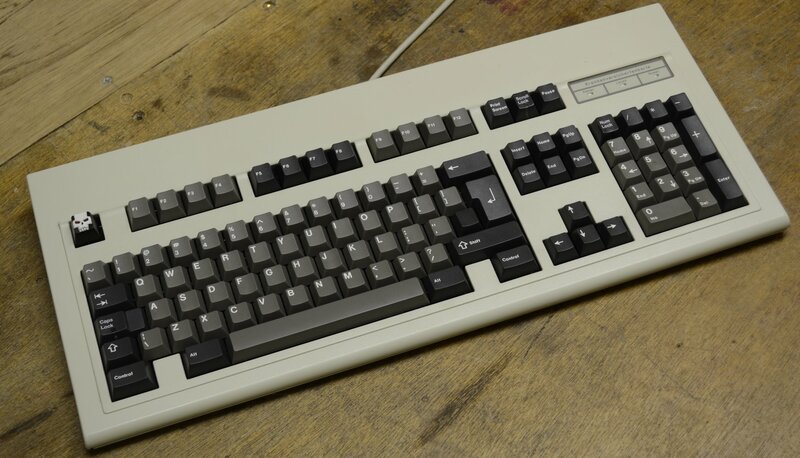 Font/Legend: Same legends as Round 4 from deskthority. I'm updating the second post right now, it's a bit behind. I'm going from 1st page to last page since we missed some, so don't worry, I know for example that Ragnarok is not up to date even though I just included it. However, if you post images, please state their sources. I do not feel comfortable using the work of somebody else without giving them credit for it. *sigh* Ok, I figure it's probably more important to get the entries up and 90+% right, and that most people wouldn't mind if their photos are used -- they did post them to the Internet, after all. I'll see if I can attribute every photo for you. Otherwise, just delete the photos if you think that's the wise decision. You have permission to use any of my photos! Theres nothing to sigh about. Just write their names under the photos. Yes they did post them on the internet, but does that mean we shouldn't say "thank you" in some way? I mean we also write the authors of each entry under it. Another request: Don't put too many images in each entry, reloading the first page already takes a bit because of all the images I think 2 or 3 should usually be enough. Theres nothing to sigh about. Sure there is -- seems, well, petty and silly to insist on that before placing the entries into the lineup. One of the Keepers more recent declarations was to "get stuff done". Well, I'm getting it done! Have I missed the occasional umlat? Almost certainly. But the point of this exercise was that it wouldn't be an exercise -- it would get done. How about this, as a compromise: if someone says, "Hey! That's my image!" we attribute it. Just write their names under the photos. Yes they did post them on the internet, but does that mean we shouldn't say "thank you" in some way? I mean we also write the authors of each entry under it. Okay, well, I'll get around to it when I've got more time. I'll defer to Capt (Archbishop of the Keepers) on whether these entries require attribution before inclusion. In the future, I'll be sure to attribute everything. As for sighing -- I sigh when it suits me. Sometimes I even throw my arms out when I do it. And here I was expecting to hear from Ray's lawyer. Again, I don't think the purpose of the Color Scheme Archive was to be an attribution engine. It was to get images of the schemes up there for viewing. Ray, still enjoying your avatar. Voltan rocks. All Zoltan imagery trademarked by Universal Studios. I'm just putting them all in here as an experiment. Break them out into categories if that makes sense. Maybe break them out by colors, or maybe by whether they actually exist or are just proposed color schemes. I think you misunderstood me a bit. I competly agree! After all, this is a workshop. It was a please, and I did add the sources on the entries I just added. It isn't too bad if we add the sources later, however the "source code" of the second post is already very long and adding the sources later just takes up more time imo. Okay, well, I'll get around to it when I've got more time. I'll defer to Capt (Archbishop of the Keepers) on whether these entries require attribution before inclusion. In the future, I'll be sure to attribute everything. I was just talking about the photos, nothing else. Again, I don't think the purpose of the Color Scheme Archive was to be an attribution engine. It was to get images of the schemes up there for viewing. It isn't. But it is still a wiki of some sort. Subtle? Sorry, I had Calm Depths (aka Bloo) on the brain from earlier in the day. Also, umlauts are the tool of the devil -- much like the metric system. Also, umlauts are the tool of the devil -- much like the metric system. Alright, I think everything is added now, and I added sources almost everywhere. No anchors for you. Pfft. No... Wait! It will work. 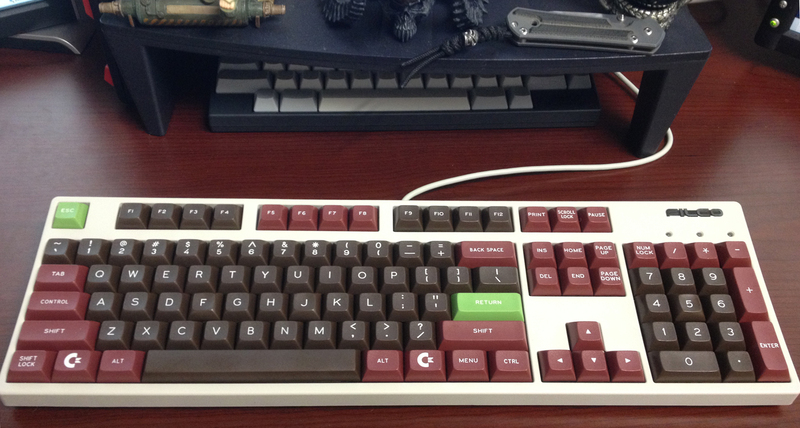 Other Notes: Sherryton: "This was a special order made by the owner of iomania, and I think he also owns KBDMania. Before moldings by Signature Plastic were very cheap. It was somewhere around $15-35. I think the guy paid around $25 / legend." Round 2 later made reversed colors available. Seems that a GB was run by Tsangan, then a second round was started by GupGup and then picked up by tjcaustin. For second round of this color scheme, individual kits were referred to as CCoG (Cream Cheese on Green) or GoCC (Green on Cream Cheese). 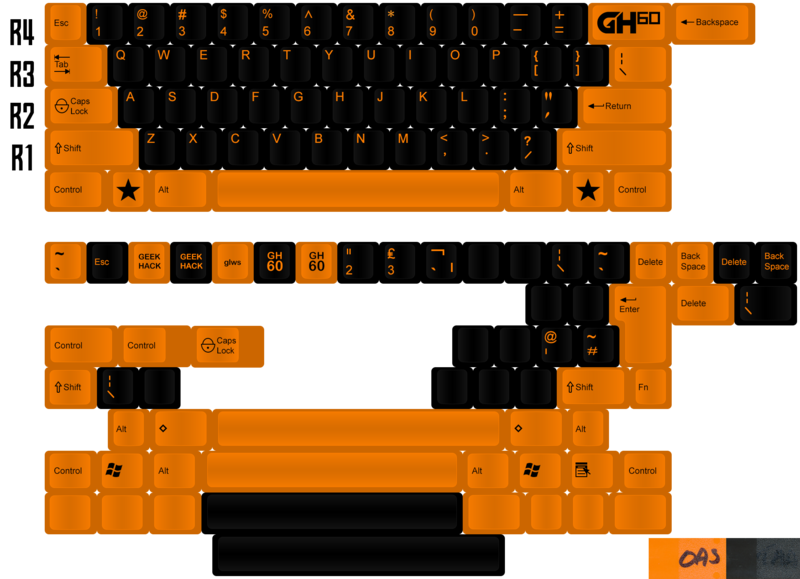 Working on CCnG, but what's the name of the second set, Orange and Black? Round 4? Thanks metalliqaz -- CCnG entry added to my list. Waiting on MKULTRA for Toxic, Lily, Hyper Fuse, and 23 Commando. 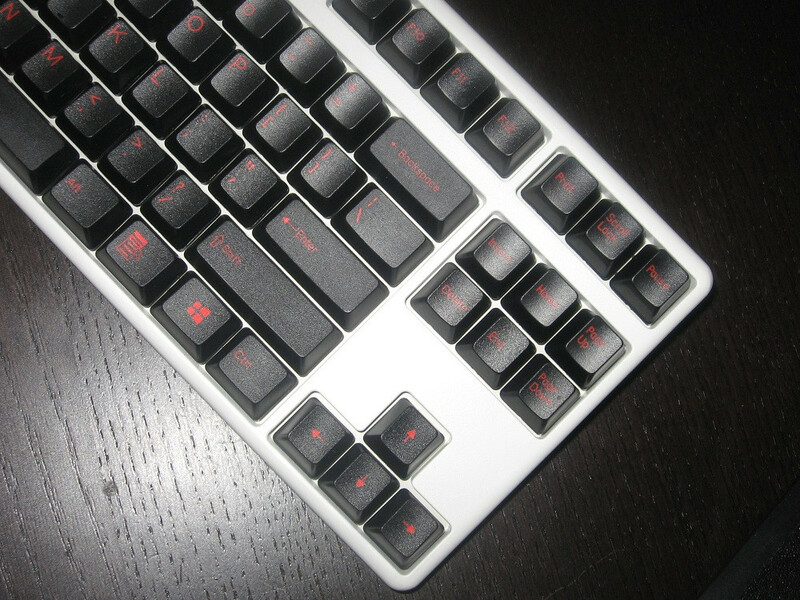 That leaves: Graphite, Orangesicle (CCnO), Skidata, Olivetti, Solarized (maybe waiting for them to settle on style? ), and Round 3, Round 4 which frankly are puzzling to me. Am I correct in believing that Round 3, and Round 4 each contained multiple sets? 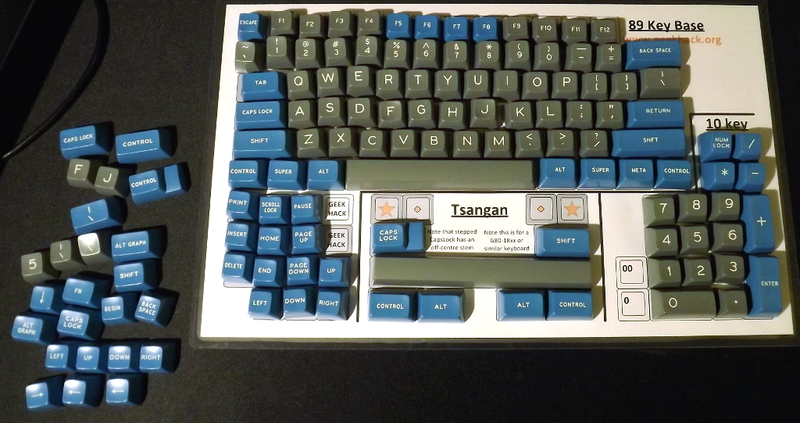 Also, as suggested by metalliqaz, IMSTO light blue and gray PBTs -- does IMSTO have a name for these color schemes? 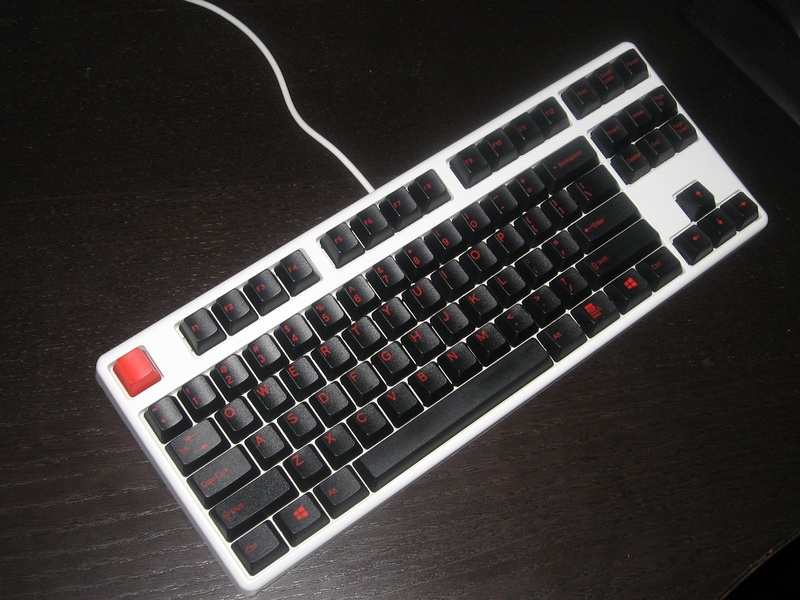 Other Notes: Still investigating whether this colorway (orange on charcoal) has an homage set of some kind. 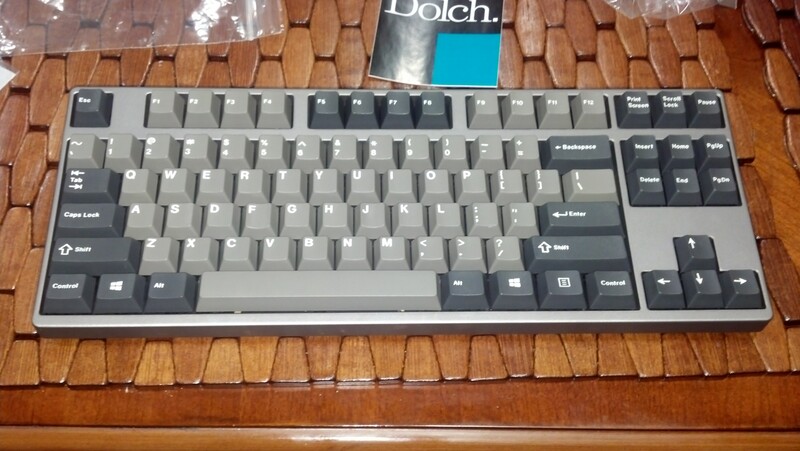 Round 3 was dolch colors. Round 4 had several styles. Noir which posted in this thread, spherical which you have, retro style which is similar to soware, and r3 style in classic and orange. 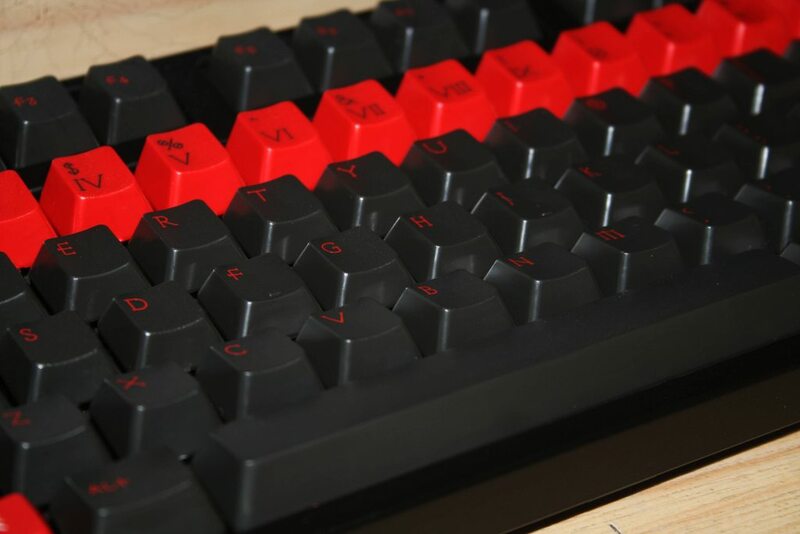 I just poked around and realized that the Imsto dyesubs were actually released in pretty much every color, so I would say it doesn't count as a distinct colorway. 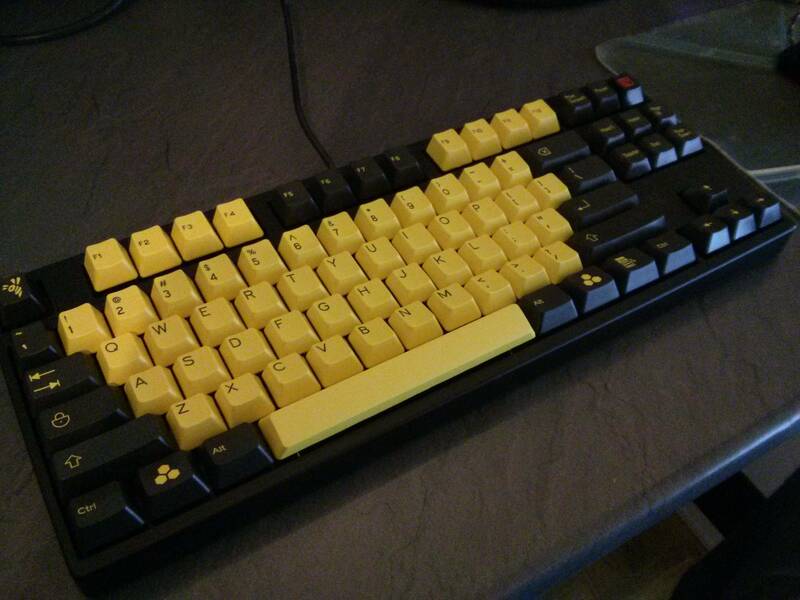 We've been using colorway for a while now. Do you miss the Ragnarok set?? Right, but it's new to me. Page 1 has a lot of the entries now, including Ragnarok. 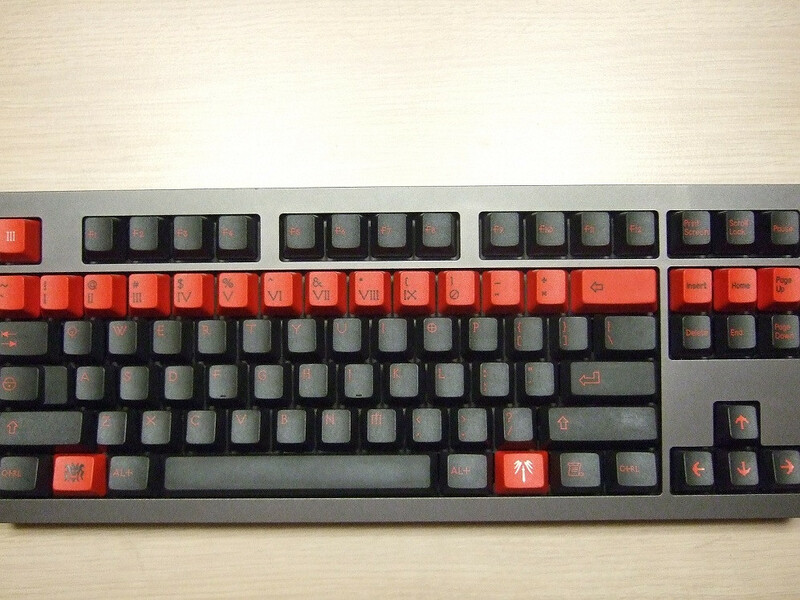 Color Description: Alphas: Dark Grey (GPA) on Pale Yellow (YCC) | Mods Red (RR), Light Grey (GTL), Sky Blue (BFP), Orange (OAS) and Green (VBQ) onto Dark Blue (BED) -- Legends: Escape is Red, Backspace and Tab are Orange, Shifts are Sky Blue, Return and Caps Lock are Green. 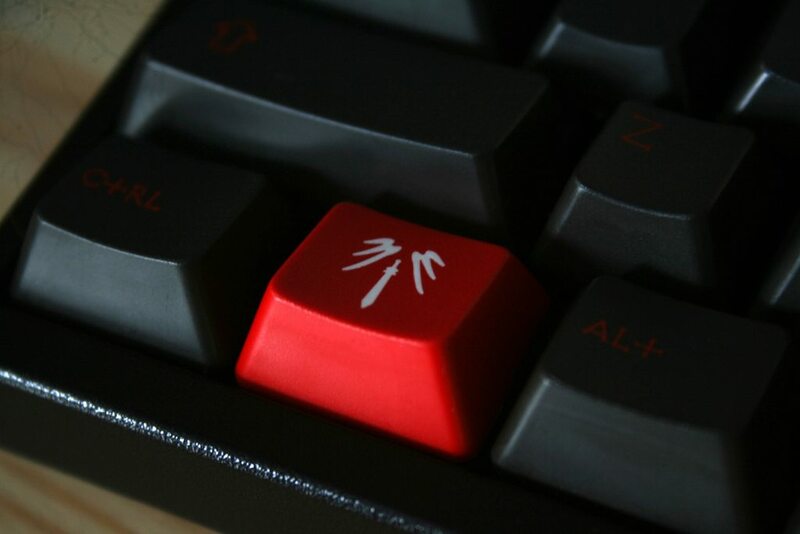 Remaining modifiers use Light Grey legends. Other Notes: Color based upon the Solarized color scheme. 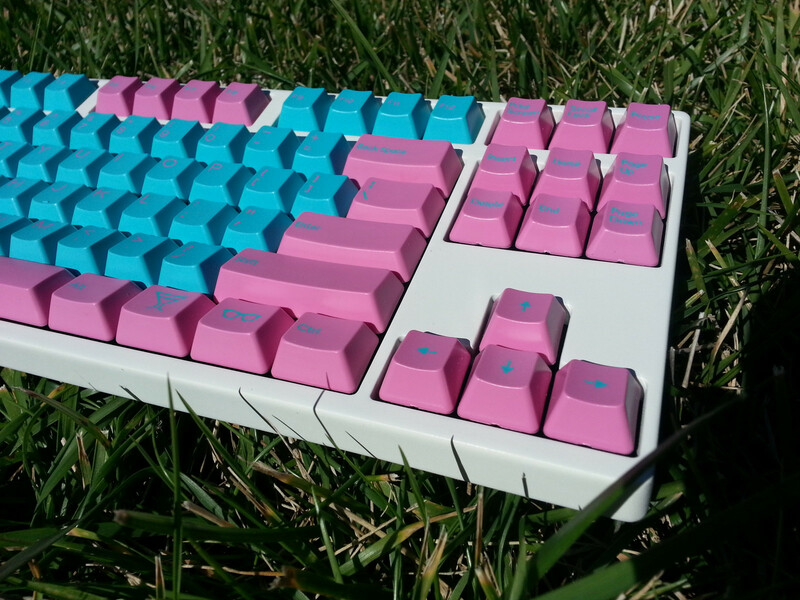 This stock "solarized" color scheme would call for white alphas. 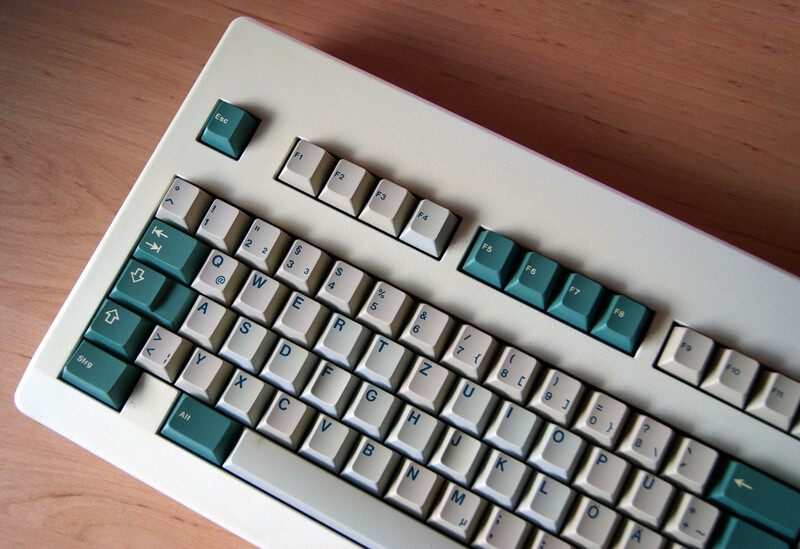 During the IC phase, many people preferred the Semi-Solarized set (with pale yellow alphas). 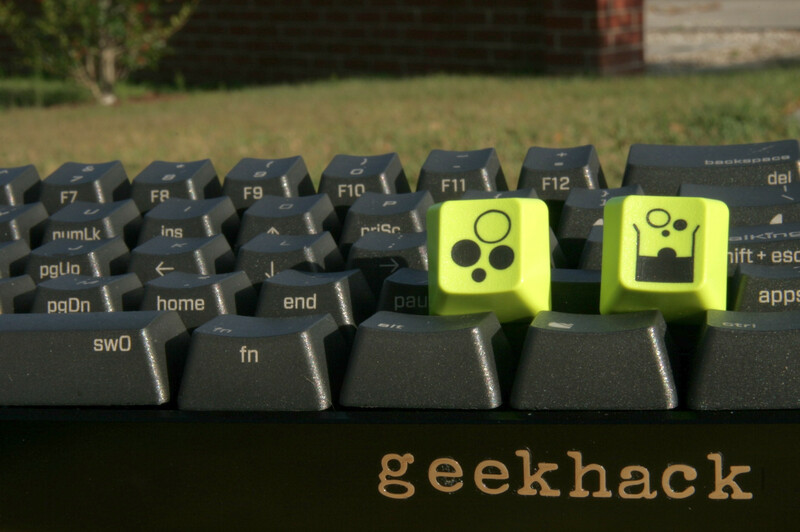 This "Semi-Solarized" was dubbed 'Penumbra' by user Photoelectric. To Krog, the Keepers, and everyone else, I'm finally back and able to work on this more. Krog, thanks for all your work on this. I'm probably going to borrow this post if you don't mind. You're very welcome -- it's been an education! I'm going to put two more into that post; Penumbra and SkiData. They're very nice for navigating large posts that use bbcode. I think the second post now takes too long to load up. I can resize the preview images and upload them somewhere, then it should load a lot faster. What do you guys think? That's a good idea. I think we need a backup like xavierblak and BlueBar are suggested/suggesting for the images. Load time and keeping the images up is something I didn't really think about. It's loading fine for me but maybe we can set the images at like width=300? I think anything smaller and it will be hard to see. Can we provision a directory for the images? I like the 500px wide images, but I understand that for others a long load time would defeat the purpose of the archive. The images are the whole point of this, however. What about putting the extended entries (and those additional images) on the second page of the thread, and the main index can host a single representative image, and a link to the extended entry? Or, we trim down the excess images to make the entries more manageable? Also, I was thinking -- would it be a good idea to put a PM link in each entry, for corrections? I played around with getting the PM system to insert a subject line, but couldn't suss it out. It would be nice if you could put a "correction" link into each entry, and if you click it then a PM opens up to a designated user, with a subject line such as: "Handarbeit Correction". 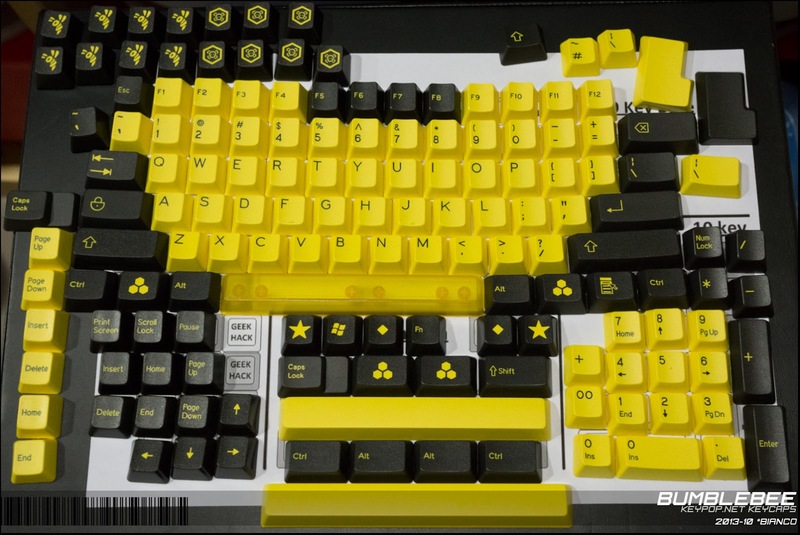 Or is that overkill? I can make it send to a designated user, but not the subject line. Your browser should download the images parallel, so while you are still loading the big images that are hidden in the spoilers, you should already be able to see the smaller preview images. If there are errors people should just post them in this thread or write a PM to one of the Keepers, I think that would be the easiest way. Where should I save the preview images? Imgur? I've been using Cap's "Questions/Answers" thread as a model, and over there they try to minimize the discussion that happens in-thread. I figure a link in the entry itself might cut down on the discussion. Or, we have a mod trim out the discussion once it's reached it's conclusion, to keep these sorts of pages squeaky clean? Creator(s): bueller, August 21, 2013 -- appeared in Calm Depths IC thread. Other Notes: Did not garner enough votes to go into production. Although keeping the thread clean is a good idea I don't think it matters in this case. We have five posts at the first page reserved (and I think we can squeeze some more in if needed) so all relevant info should be able to get saved in there. Everything beyond that would just be open discussion. Or do you want something else on the later pages? Extended entries are fine now but it's a bit of pain to hunt down later. I would rather just have the archive all in the first five entries and the discussion behind like BlueBar said. I'm forced to the do the extended entries with Simple Questions because of how large it is and my lack of preparation when I first started it (I only grabbed the OP). I think PMing one of the Keepers or just posting here like Flynn did works fine. Agree with BlueBar. I think Imgur is our best bet. It seems to have the highest bandwidth capacity. 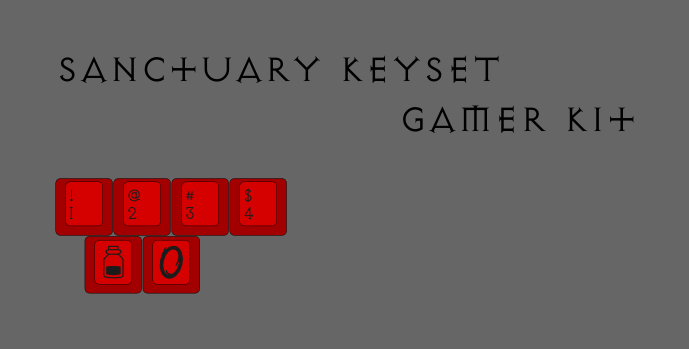 Ok, updated with the table of contents and info that Krog added. Please check it out and let me know if the Table of Contents is working well and if we're missing anything. Also, the second post hit the 40k character limit. We might need to start pushing all the links to bit.ly or goo.gl. Edit: At a quick glance, I think we're missing this and this from R3/R4 and this. Think MKULTRA has some stuff coming too? Color Description: Mods: Orange (ON) with White Legends, Alphas: White with Orange Polycarb Legends. Other Notes: The first GB to be make using the Cherry Replica legends. 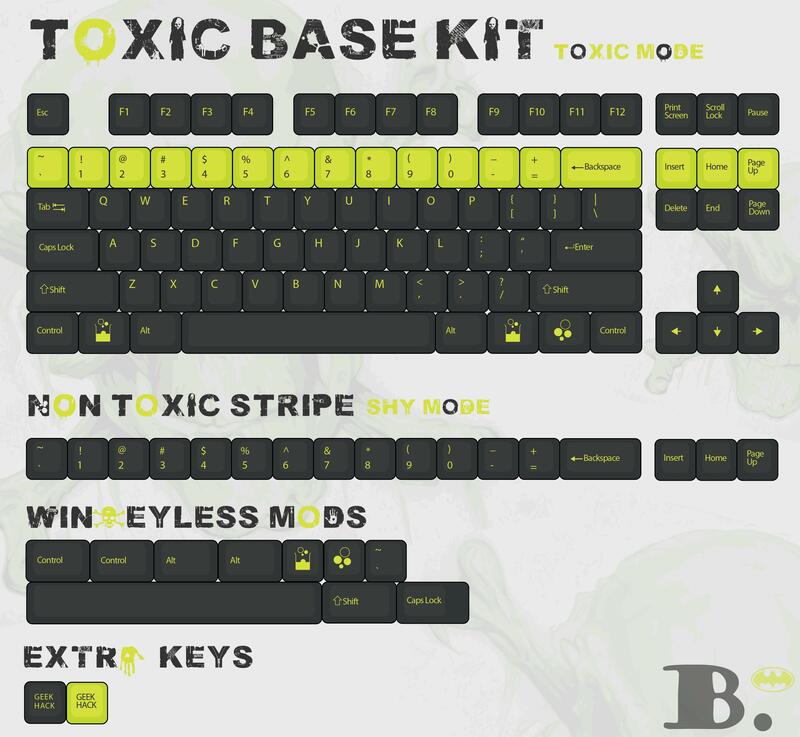 Toxic Set is another set that was postponed until these legends became available. 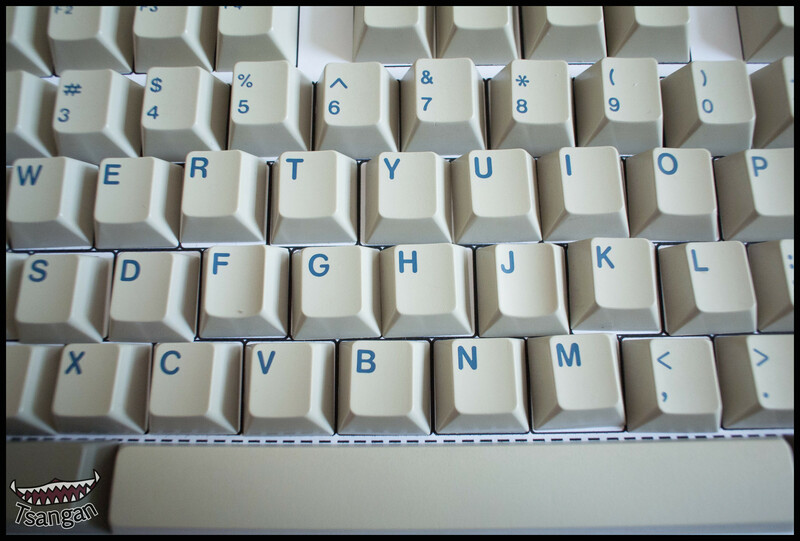 Originally there were going to be 'webbed' orange polycarb, but because each keys varied a bit too much, it didn't look good as a complete set, and this idea was abandoned in favor of a solid white base and a distinct orange polycarb legend. Also, the GeekHack Nostalgia set also uses the Cherry Replica Legends. Other Notes: Created after the idea of a Cream Cheese and Blue set was teased. 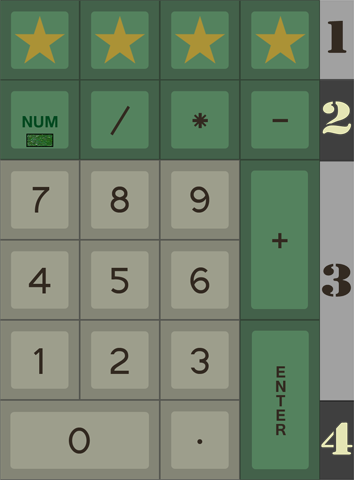 Other Notes: Inspired by color scheme of the Commodore64 keyboard. 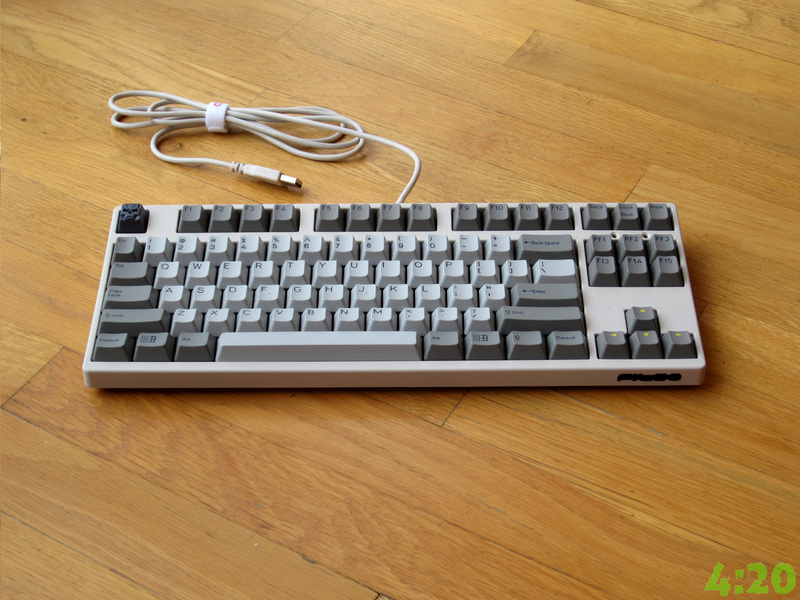 Multiple kits including Nostalgia (grey), ISO and reverse colors were available. 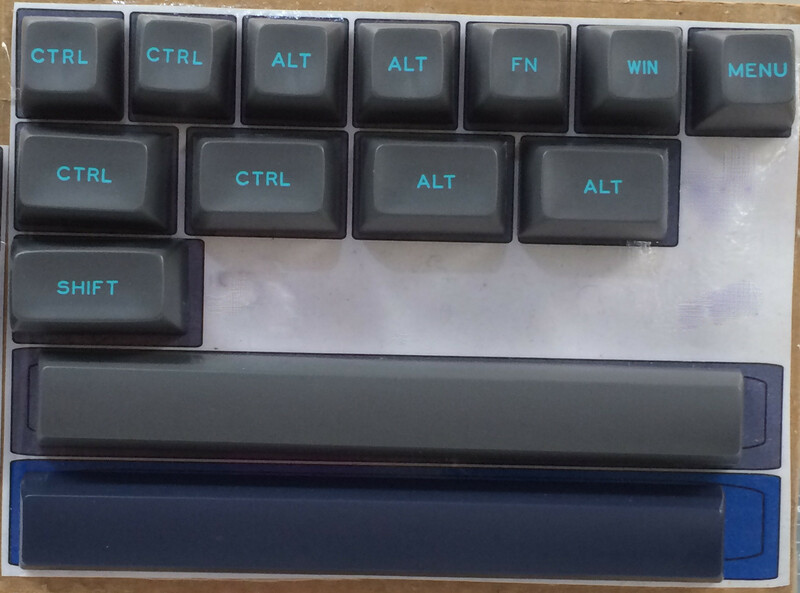 Matt3o: "We are grateful to the otd.kr community that allowed us to use their DSA 1.75 stepped key tooling for this group buy. Thanks guys, you rock!" Other Notes: Handarbeit is German for handmade or handwork. 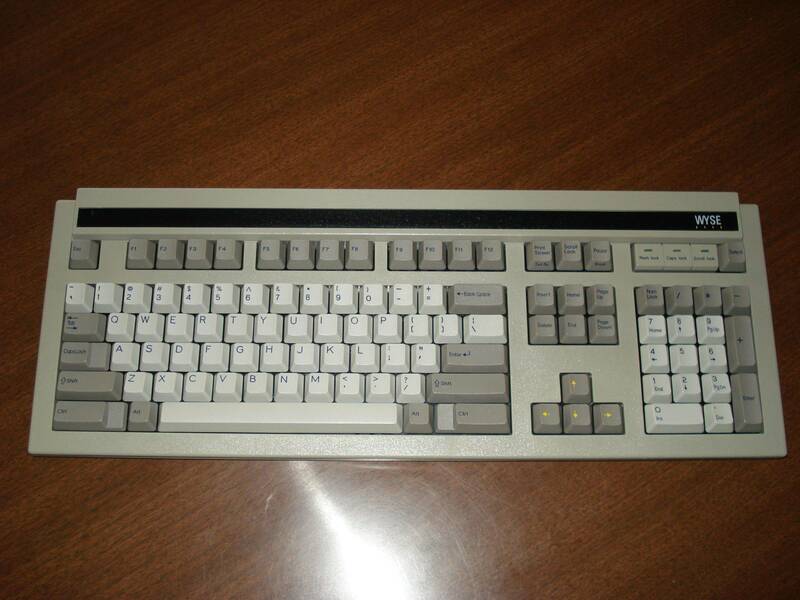 Two of these keyboards (Cherry G81-3000) exist,they were only engineering examples. 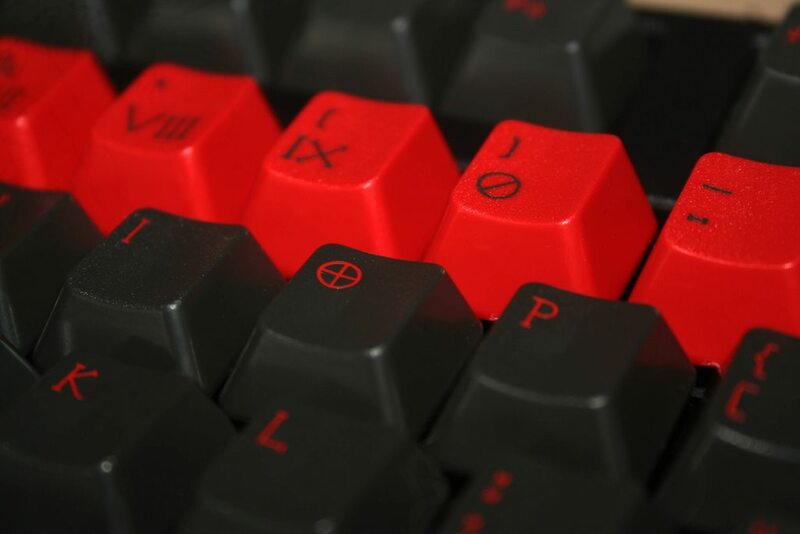 Other Notes: Rebel Red Alert was a joint Deskthority/OTD group buy, had symbol-only modifiers, with a 170-key base set. 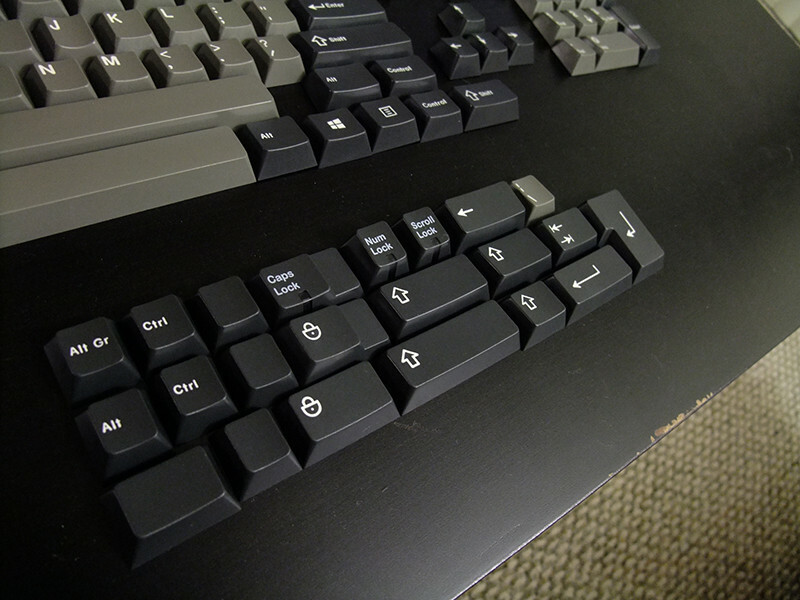 An "experimental" add-on kit was available, with 18 keys. The base set included a contrasting white-on-red number row done up in SP's Isotherm font legends, and red-on-beige modifiers. 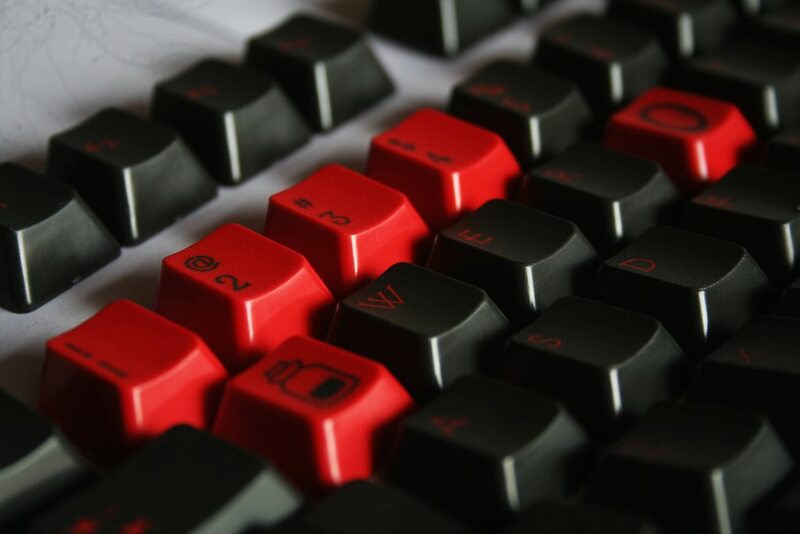 Ragnorock's Red Alert 2.0 group buy set included an option for white-on-red modifiers. 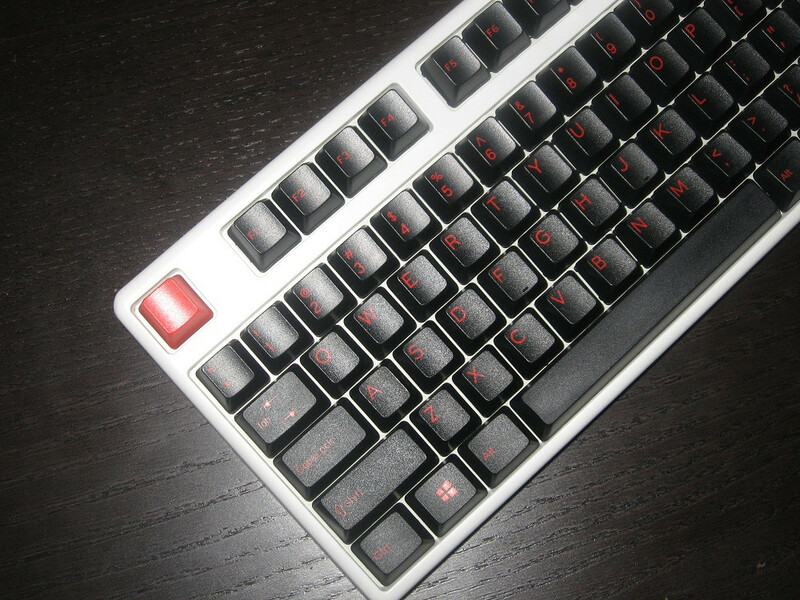 And most recently, tjcaustin's Klaxon group buy, which included the option for white-on-red and red-on-grey alphas. Other Notes: Boost tried to run a GB which ended up being canceled. Produced: Yes. Started August 2012, roughly ending December of that year. 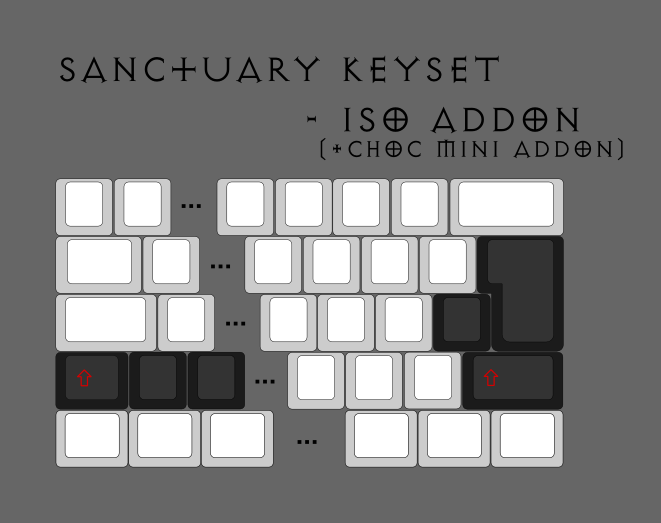 Other Notes: Included ISO set, lighter pink modifier set, and multiple unique single keys. 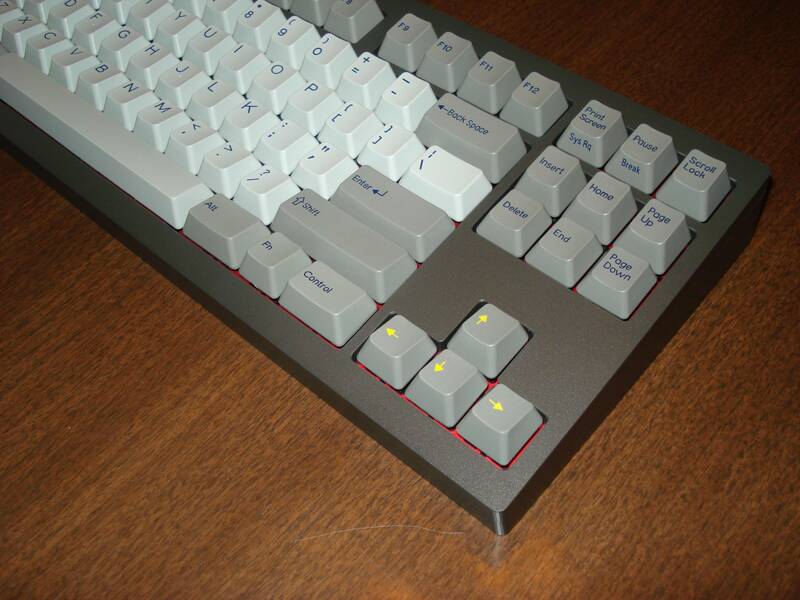 Color Description: Very light gray with dark blue legends, gray modifiers, yellow arrow legends. Other Notes: One of four styles avaiable in the Round 4 group buy. 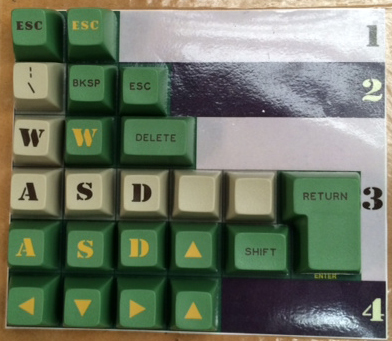 Design is based on the space-cadet keyboard. Color Description: Light gray with blue legends. Other variants: Light gray with green legends, or black legends with details in light blue or orange. NOTE: The image referenced about by phetto can be seen, and is being discussed here -- some argue that the original color is not as 'tealish' as seen here. Other Notes: Available in a variety of languages. You can get them from some Triumph Adler typewriters, they also show up on some Royal typewriters. 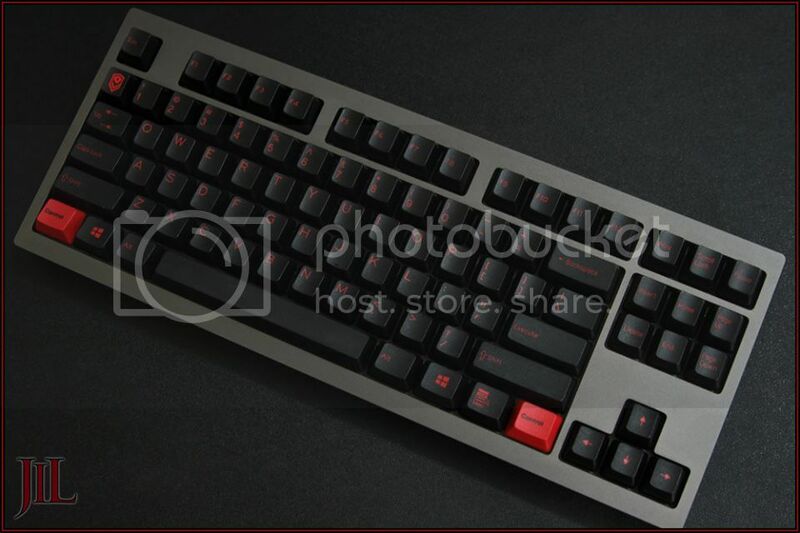 Bought from: Groupbuy, also possibly through Originative store? 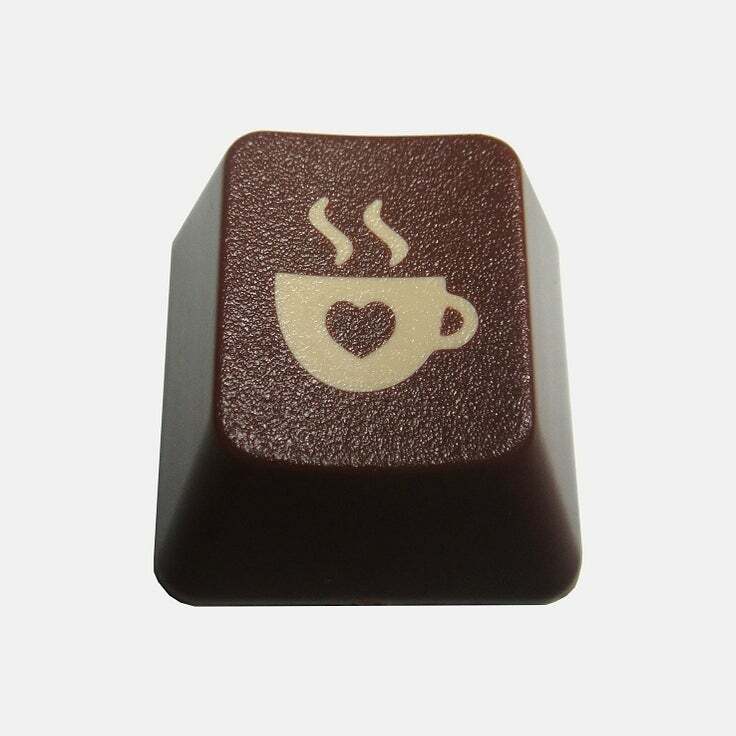 Profile: Hazeluff: "They are doubleshot and are slightly higher than the Cherry's profiles." Other Notes: Scheme seems to have been inspired by video game 'Diablo'. Produced: Yes, March of 2013. Bought from: Pre-order was available, direct purchase afterwards. 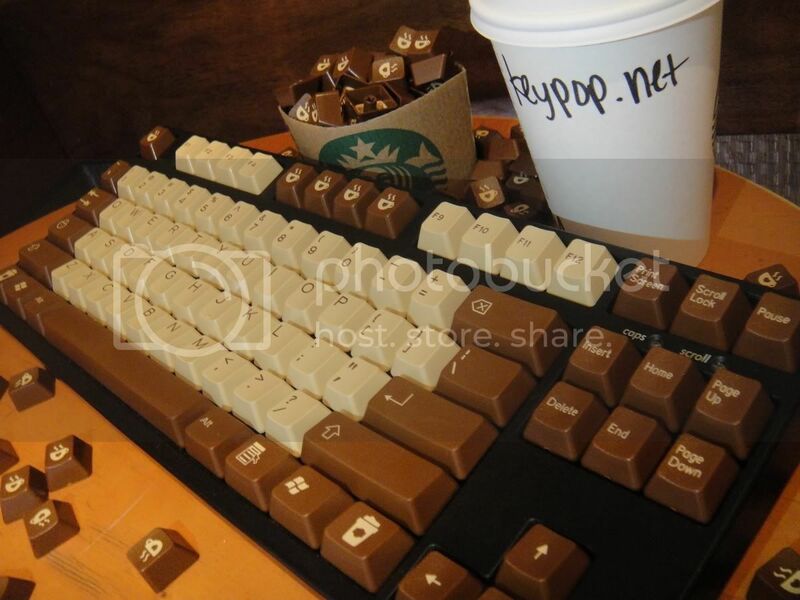 Color Description: Brown and Cream -- *** More information needed on SP color codes. 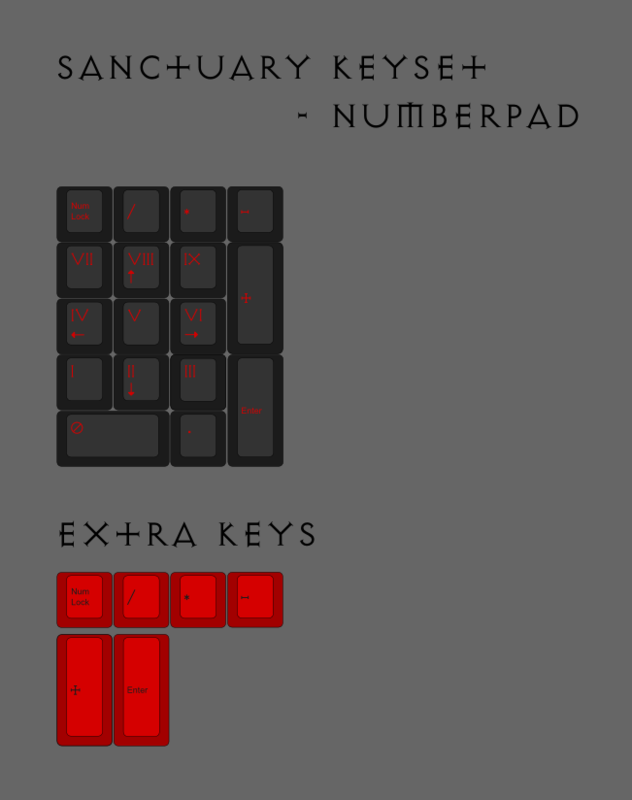 a TKL version -- no numberpad set was available for sale. 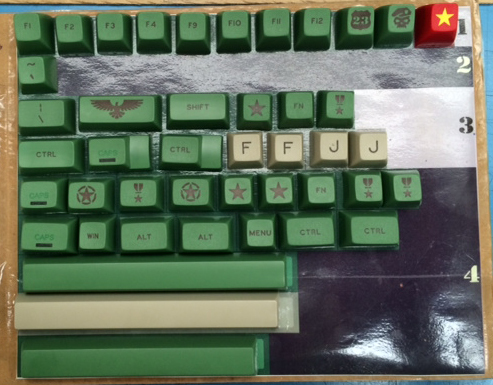 Included several custom caps. Bought from: Available as GB, then offered through website. 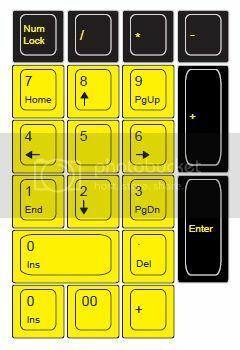 Other Notes: Options included four colored "mask" keys. Produced: Yes, completed roughly March of 2012. 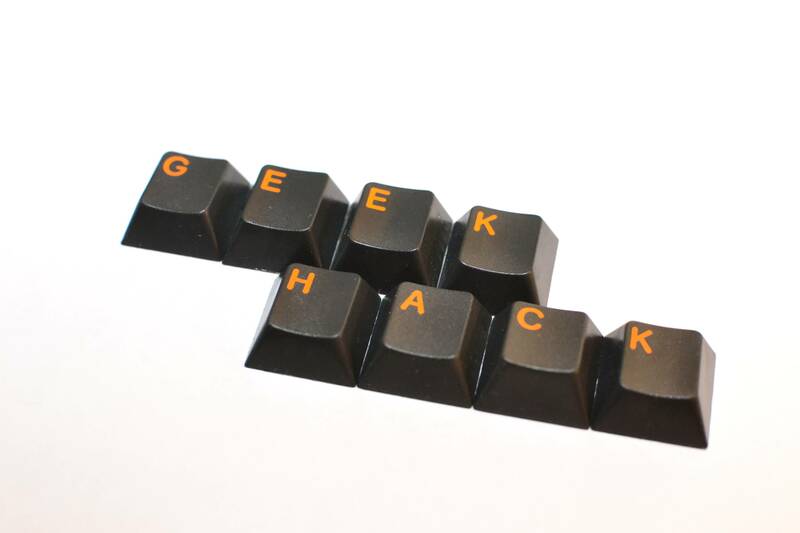 Font/Legend: Assuming WYSE -- doublecheck. 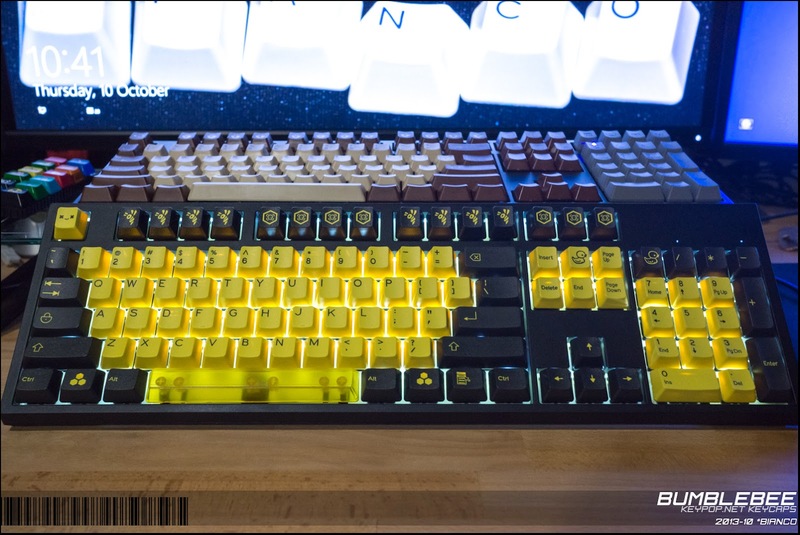 Other Notes: Ragnorock: "The specific color code is RA on NN, exactly the same as the Terran keycap from the SC2 group buy (the inspiration behind this.)" 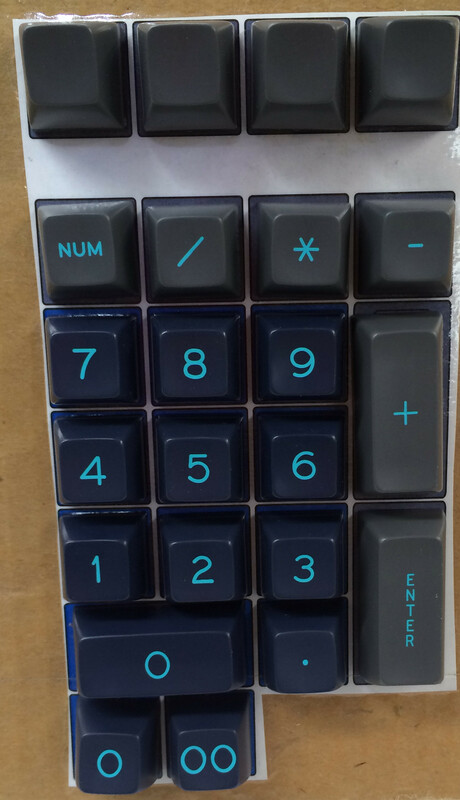 Bought from: Groupbuy and Vendor. 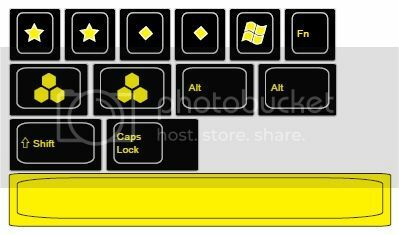 Other Notes: Set included a special keycap box that keypop plans on selling separately, option to buy a translucent yellow spacebar, and several bumblebee-inspired: hornet, honeycomb and skull-and-crossbones keycaps. Font/Legend: Not sure, large font for alphas. Other Notes: Followed a long IC gathering lots of input from the community, which generated a lot of color schemes. Used SA profiling scheme developed by the 23 Commando groupbuy. Creator(s): Originally conceived by Elrick, rendered by inlikeflynn - August 21, 2013 -- appeared in Calm Depths IC thread. 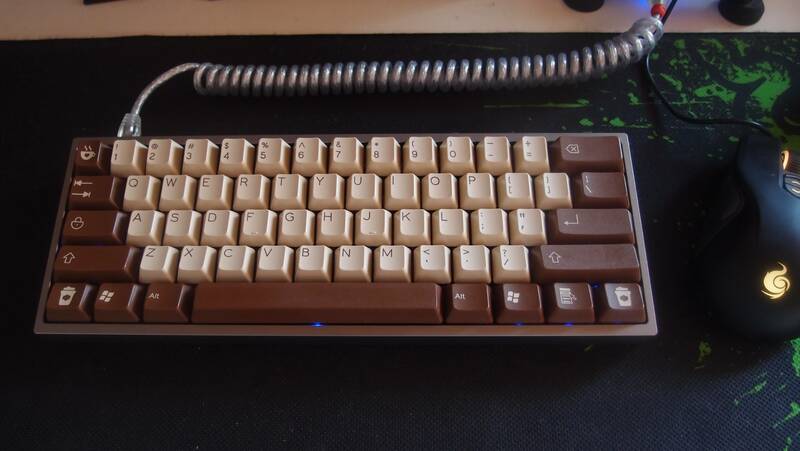 Other Notes: Notable for using GH themed 'Nostalgia' forum theme colors, and being exclusively for 60% keyboards, and also for having a single kit that includes everything needed (ISO, Tsangan?, etc.). 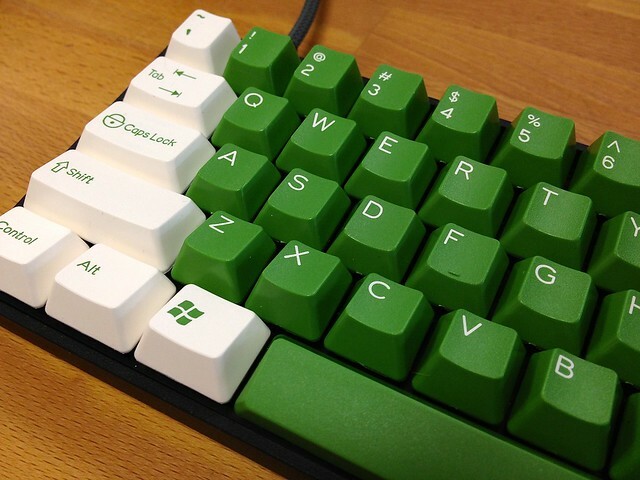 Color Description: Matt3o: "GREEN PBT VCG, PEARL PBT GDM, Spacebar GREEN ABS VCJ"
Other Notes: Samwisekoi: "It is with some considerable sadness that we have decided we must cancel this Group Buy. Among other things, surprise multi-thousand-dollar charges have popped up, and we can't sustain it. 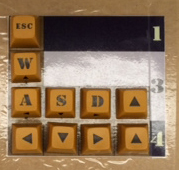 If anyone really, really wants Sindarin/Elvish keycaps, we would be happy to send a copy of the layout file over to WASD Keyboards. 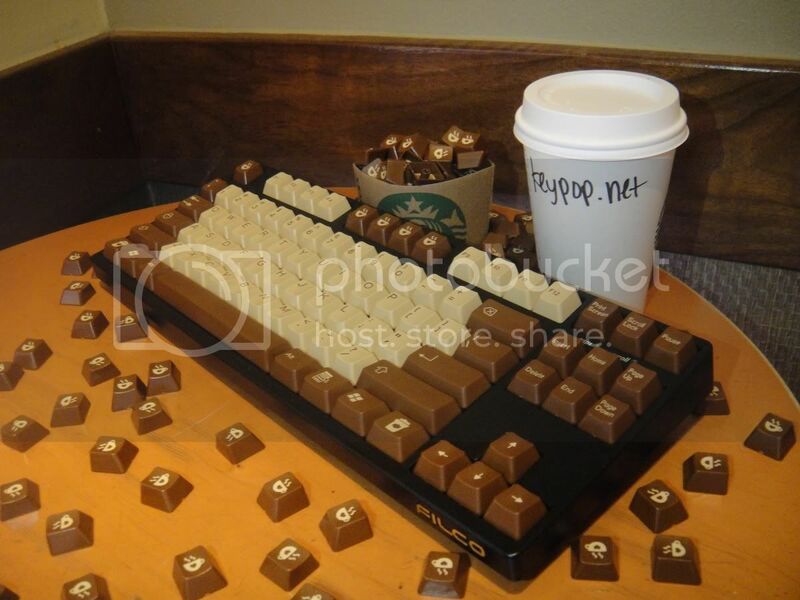 They have indicated to me that they can laser etch sets onto their customizable ABS keycaps." 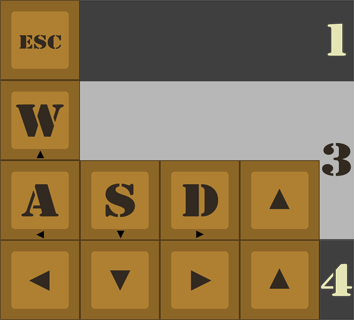 This proposed set is notable for not containing ANY alphanumeric characters at all. Page created in 0.327 seconds with 86 queries.